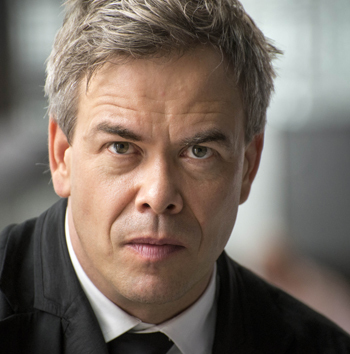 Hannu Lintu is one of Finland's most sought-after conductors and is rapidly creating a major international career. He has been Artistic Director and Chief Conductor of the Tampere Philharmonic Orchestra 2009-2013, and also Principal Guest Conductor of the RTÉ National Symphony Orchestra in Dublin. Before assuming the new role of Chief Conductor of the Finnish Radio Symphony Orchestra in 2013, he was the orchestra's Chief Guest Conductor in 2012. Hannu Lintu was previously Chief Conductor of the Turku Philharmonic Orchestra and Artistic Director of the Helsingborg Symphony Orchestra. He is a regular guest conductor with the Avanti! Chamber Orchestra in Finland and was Artistic Director of the orchestra's Summer Sounds festival in 2005.